We can spend all of our lives just reacting to whatever happens to us. Our days quickly fly by as we focus on taking care of the urgent. Meanwhile, we totally miss the important. 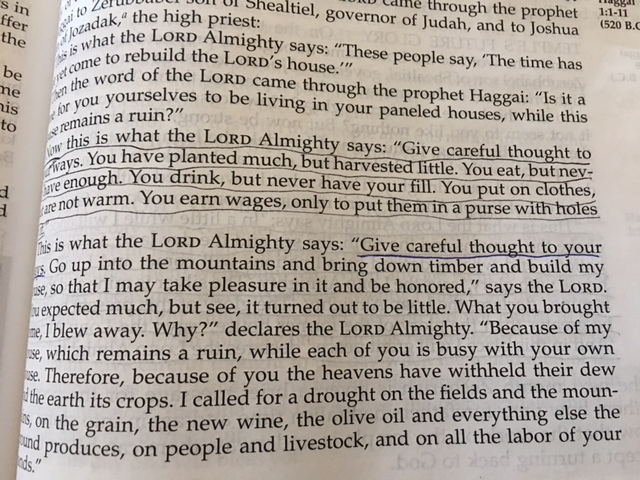 God tells us several times in the first couple of chapters of Haggai that we should give careful thought to our ways. Where are the decisions we are making going to take us? If we give careful thought to our choices and plans today, we should not be surprised by where we end up. In Haggai, God told the Israelites that they had done a lot of planting but they had harvested little. They ate but they were still hungry. They drank but it was never enough. Do you ever feel like that? It’s never enough? 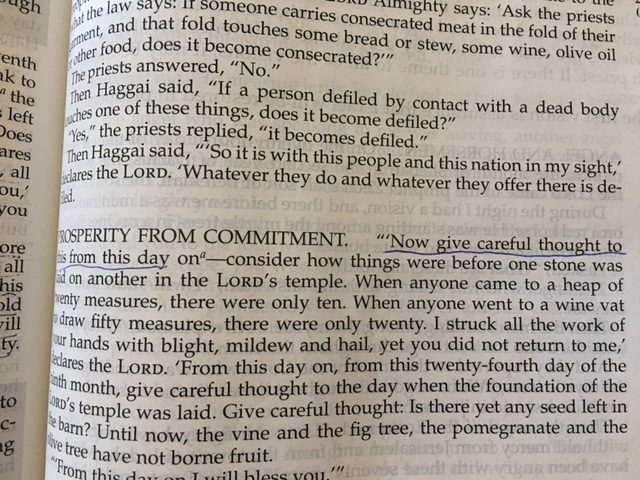 Do you lack contentment and peace and fulfillment? I think we all do at various times…..but is it an everyday thing for any of us? God tells us to give careful thoughts to our ways…..
because our choices are going to determine our destination. if you don’t like where you’re headed, you can change your direction. And the best direction you can choose is to turn towards God. There is a button at the bottom of my post where the media buttons are which says ‘reblog and then I approve it. Thanks! I will look again! Thanks sister! Now it doesn’t show the button! Let me check it out!